TALL Security Print Limited, part of the TALL group of Companies, has received a supplier award by Geoban Logistics, the Santander-owned operating company for the 5th time in 5 years. The company has been acknowledged as a top performing supplier again in 2016, finishing in the Top 20, in recognition of TALL Security Print and its staff for excellent service, consistently exceeding customer expectations and delivering on customer needs for the financial organisation during the last twelve months. TALL Security Print was commended for the production of a range of specially-printed cheques, credits, internal banking documents and passbooks that are delivered to Santander’s network of branches or direct to the end users. The specialist nature of the secure print products and solutions offered by TALL mean that this dedicated Santander Customer Support Team now provide ‘direct’ access to the bank’s documentation at ‘point of source’ and not through an intermediary department as previously. “Our aim, within the TALL Group of Companies, is to evolve and introduce innovations within our business in order to provide our key customers with a market leading portfolio of products and services. This award from Santander is testament to the hard work and dedication of our team in Runcorn,” said Peter Andrew, TALL Group Sales & Marketing Director. “This new internal department solidifies our working partnership with Santander, building on a trusted relationship which stemmed from the success of our working with Alliance & Leicester and Girobank previously,” he added. TALL Security Print originally worked with Girobank more than 20 years ago, which later became Alliance & Leicester and acquired by Santander in 2010. 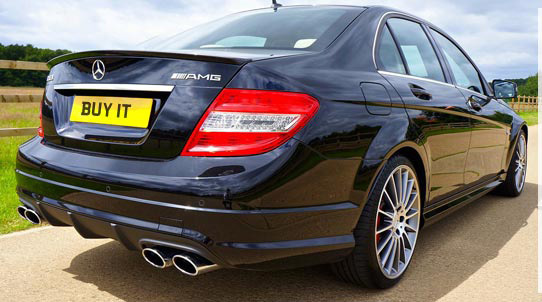 Regtransfers.co.uk, the UK’s largest number plate dealer, has modernised how it makes payments by deploying a sophisticated solution from Checkprint, part of the TALL Group of Companies, the UK leader in the provision of secure paper and electronic payment solutions. The company is now using Checkprint’s Payments Bureau in order to make Bacs payments in a highly efficient and secure manner. After manually managing the Bacs payments for a number of years, Regtransfers.co.uk was looking for a solution that would streamline the company’s electronic payment process. After being recommended to Hinckley-based Checkprint by Experian, Regtransfers.co.uk opted to outsource its payments process by engaging Checkprint’s Payments Bureau. The platform, which is powered by Experian Payments Gateway, is fully RTI compliant and incorporates the UK’s leading bank account validation software to authenticate accounts. Regtransfers.co.uk will use the Payments Bureau to process payments made to suppliers, customers and employees each year. In addition, Regtransfers.co.uk has also sourced its secure cheque requirement from Checkprint since 2014.